Today marks the start of the Farnborough International Airshow, the biennial aviation festival where the Prime Minister is expected to detail £1.1bn of new defence spending later today. Writing in the Telegraph this morning, David Cameron explained that the funds found from cuts and savings elsewhere will go towards items including surveillance drones, new radar for the Typhoon jets, and cyber security measures. The majority of the money – £800m – will be spent on intelligence and surveillance equipment designed to identify international terror threats. 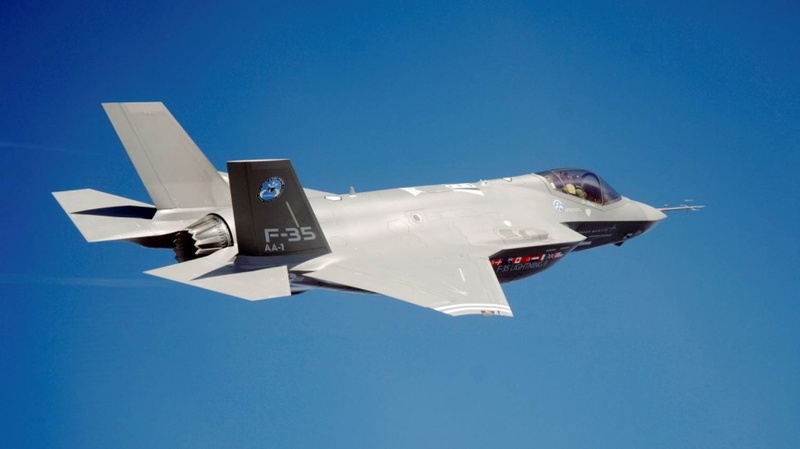 Those hoping to see the first flight of an F-35 Joint Strike Fighter above UK soil today will be disappointed, as the US Department of Defense has yet to provide clearance for the visit. However the Farnborough organisers are hoping the jet will make an appearance before the end of the week. There’s also been controversy over the attendance of the Russian contingent to at the show: although many Russian delegates were refused visas by the government, the show has also drawn criticism for allowing state-owned firm Rosoboronexport, which has supplied equipment to the Syrian government, to exhibit. Hopefully, this won’t overshadow the airshow’s other role this week of trying to inspire the next generation of aerospace and defence engineers. Futures Day (taking place on Friday) aims to give young people aged between 11 and 21 an opportunity to see how a career in the sector can really – pardon the pun – take off if they pursue STEM subjects. The brief video below will tell you a lot more about the concept than a deluge of hastily assembled words, so please take a look – it runs for just a little over one minute – and then rejoin Briefing for the depressingly familiar caveats that accompany this type of story. Elsewhere this week, engineering skills will once again loom large as a new poll from the Institution of Mechanical Engineers suggests that schools are failing the next generation of engineers because they’re receiving poor careers advice from teachers who allegedly lack understanding of business and industry. In the poll of 2,030 people, 42 per cent took a dim view of careers advice and guidance in Britain’s secondary schools, 26 per cent said it is adequate and a lowly 10 per cent deemed careers advice as ‘good’. Just over half (57 per cent) thought teachers should undertake two-week work placements to improve their understanding of different career options. According to IMechE, these results come as the Institution launches a new Teacher Industrial Partners’ Scheme (TIPS), which will see Science, Technology, Engineering and Maths (STEM) teachers being offered two-week work placements within industry to help them better explain the highly diverse career opportunities to their students. To digress…back in the 1980s, a so-called careers adviser told me that a love of books qualified me as a librarian. What this fop couldn’t be bothered to realize was that of the eight subjects taken at O Level, only three were from the arts and humanities. Seems careers advice in schools is as shoddy now as it was 30 years ago but there are a handful of public figures trying to redress the balance. 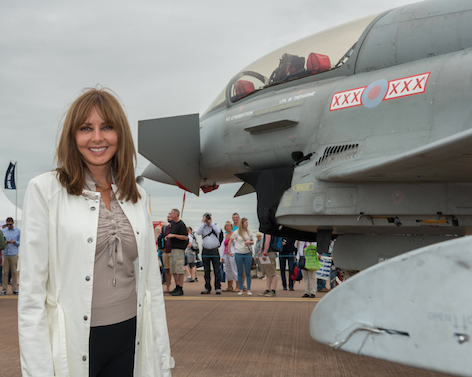 Engineering graduate Carol Vorderman (pictured below) was in STEM ambassadorial mode last week at the Royal International Air Tattoo (RIAT) at RAF Fairford in Gloucestershire where she launched a drive to boost the number of young people studying for a career in engineering. She’s linked up with BAE Systems to encourage young people to look at STEM subjects in science, technology, engineering and mathematics as a career choice. Vorderman used the event to meet up with a local schoolchildren and espouse the opportunities that can arise from following a path in STEM. In a statement, the TV personality said: ‘You only have to look around you to realise what can be achieved by engineering, whether it is the cars we drive, the gadgets we use or the homes we live in, they are all products of engineering. To emphasise the point, The Royal Academy of Engineering’s report on ‘Jobs and Growth’ forecasts that, between 2012 and 2020, the UK economy will require 830,000 professional scientists, engineers and technologists, which amounts to over 100,000 new professionals each year. Careers advisors in school should contact recently retired people from a range of professions to give them – and preferably their students – a feeling of the work environment and what is expected. Or maybe working engineers should make contact with schools and offer advice / placements / support for STEM subject teachers and careers advisors? It is a great and interesting career but the shortage needs to be presented properly. The majority of graduates with engineering degrees will not continue into a career in engineering. Those that do continue 30% of male and 50% of female engineers have left the sector within 3 years of graduation. Fortunately you have a newer source than I do! I only had a previous HESA report to hand. A major issue is also retention. Losing so many engineers is painful for the industry. After 3 years more engineering qualified people are doing jobs not in the engineering sector. Government advisor John Perkins published a review of engineering skills that goes into some of the issues including retention. The figure for male and female retention is on page 37. I went to Farnborough on Monday (14th) and, yes it’s great showcase for engineering. It also shows the competition the UK is up against. The UK products and management of the flying display were very professional. I also expect that those who arrived by VIP transport and were whisked to hospitality suites found the housekeeping arrangements great, too. Sadly, those of us who arrived by train and bus shuttle had a rather different experience with very long queues – more than one hour between leaving the station in very tired buses to clearing event security. By 1100am toilet towels, soap and washing water in the main gate toilets had run and some others were awash. Travel was just as poor on the way back with the addition of sauna-like conditions on the buses and an endless traffic jam to the station. I’m sure the foreign visitors were very impressed. Surely, the quality of housekeeping is all part if the international image we project. Please do better Farnbough – it’s not rocket science and poor, low-tech facilities tend to put a nasty smudge on the shine of glossy high-tech products. the chosen few escorted to the hospitality suites are the ones with the money, or at least access to the various public purses around the world that pay for this stuff. The peons (that’s the rest of us?) proles, (or whatever the chap in Downing Street said to the security guards) are here(and there) to do their bidding…and don’t you forget it! The conflict groupings are in serious trouble: they have lauded it over the rest of us for so long, they believe it ever was and ever will be thus…and presumably they could get away with it whilst most of the population were either stupid aristocrats or uneducated serfs. I remind myself that some 75% worldwide of all those who have ever been educated in the sciences, technology and Engineering are alive and active at present: and that more and more I believe that we intend that our skills shall serve all mankind, not just a few who are presently ‘above’ us? So, if you need some money for your favourite charity – this is where the money is. Not in front of your local ASDA. And if you need to close your local library or keep the 50 year old shower heads in your local swimming pool – now you know. I have to hope that our leaders know this?